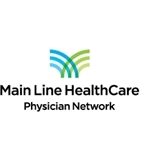 MLHC Internal Medicine in Broomall (Broomall) - Book Appointment Online! Dr. Bongiovanni was outstanding. He spent time with me, listened patiently, was compassionate, and addressed all of my healthcare issues and concerns. I am new to the area and a recently retired healthcare professional. I feel blessed to have found not only a quality physician but also a very nice person I can trust to take good care of me.